Six years ago, when Tom Brady had only won three Super Bowls and there was still a debate whether he was the greatest quarterback of all time, ESPN made a documentary about him. ‘The Brady Six’ is about how Brady was written off at 22, selected in the sixth round of the 2000 NFL draft, with 198 other players, and six quarterbacks, picked ahead of him. It is the inspirational story of Brady’s struggle for recognition, how he disproved everyone who thought he did not have the strength, speed or mobility to be a top quarterback. It is the story of how he beat a more talented rival to start for University of Michigan, and then the famous Drew Bledsoe to become the Patriots’ starting quarterback at 24. Harry Kane loves ‘The Brady Six’. Tom Brady is his hero and the reason why Kane supports the New England Patriots. That is why Kane was so happy on Monday, the day after Brady masterminded an astonishing second half comeback and overtime win for the Patriots against the Atlanta Falcons. Kane has always been inspired by the story of how Brady made it to the top despite so many doubting he could get there. 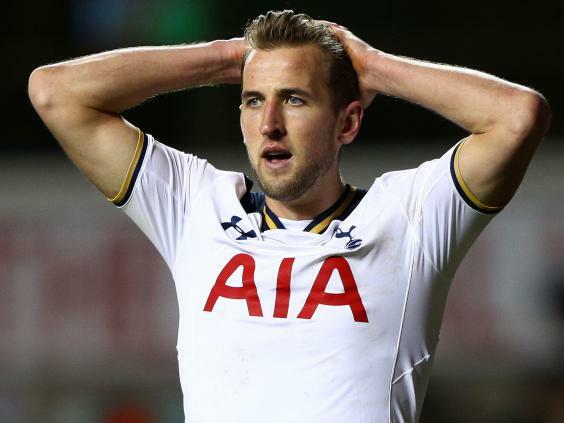 When Kane was out on loan at Norwich City and Leicester City in the 2012-13 season, barely playing, it did not look like he would make it either. But he dug deep and four years on he is England’s best striker. “Tom Brady is a big inspiration and a big idol of mine,” Kane says, the day after Super Bowl LI. “’The Brady Six’ shows how he was underestimated, when he went late in the draft. But he worked hard and believed in himself and that is what I have tried to take in my career. “Maybe when I was younger, people didn’t always believe in me. They didn’t think I would make it to where I am now. There is a similarity between quarterback and centre-forward, the most important roles on the pitch in each sport, the man ultimately required to deliver for his team. With 63 Premier League goals already for Spurs in just his third season as first-choice, Kane has clearly learned a lot about performing under pressure. “I watch clips of him playing on YouTube,” says Kane, who has never met Brady but would love to. The Patriots’ lowest moment on Sunday was when a Brady throw was intercepted by Falcons cornerback Robert Alford, who scored a touchdown to put the Falcons 21-0 just before half-time. Brady looked broken but Kane knew better. 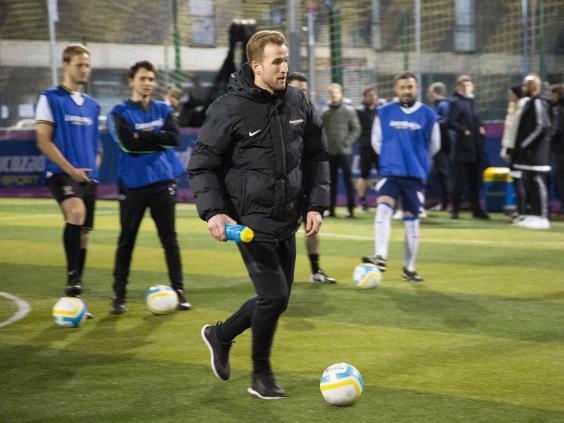 “There was a moment when it was 21-0 and it looked like Brady’s head was down, looking at the floor,” remembers Kane, who put fans through their paces as part of the Lucozade Sport Made to Move campaign. Kane has had his own moments recently of rescuing something out of nothing. “I’ve been there in football sometimes,” he says, looking back on one of Spurs’ best days of the season. 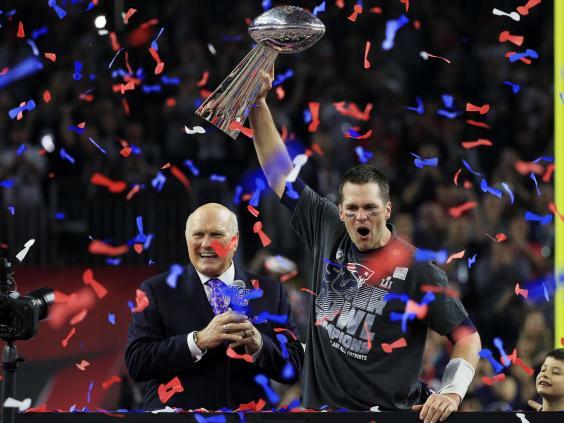 Brady is 39 years old now and it is his fourth and fifth Super Bowl that have really burnished his greatness. That hunger to keep competing and winning is what marks him out. 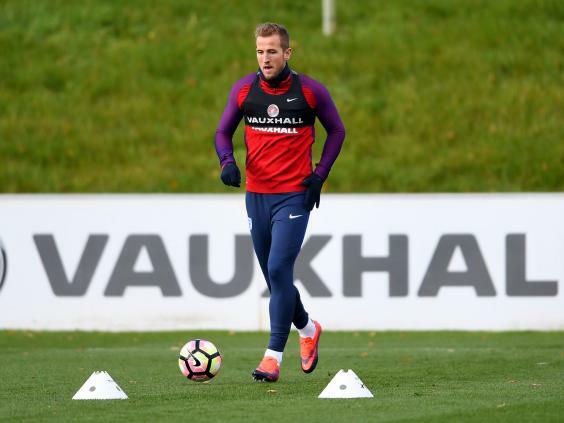 “It shows how good he is, that he is never satisfied,” Kane says. That is the big question hanging over Tottenham this season. After losing the Capital One Cup final in 2015, and letting the Premier League title slip in 2016, are they mentally ready to win a trophy this year? Mauricio Pochettino has said all season that the last step Spurs have to take is in their heads. And Kane agrees that establishing that Brady-style winning mentality is the only gap Spurs have to make up to their rivals. “Ability-wise, we were probably the best team in the league last year,” Kane says. “And we are probably one of the best teams in the league this year. You hear people say when you get that first trophy, it takes you to another one. That is what we need. As Pochettino has said many times, Spurs did not have the maturity to stay with Leicester City in last year’s title race. The famous collapse at Stamford Bridge gifted Leicester the title, symptomizing how Spurs were not grown-up enough to shoulder heavy pressure. But last month Spurs showed how they had grown, taking a 2-0 lead against Chelsea and then seeing it out with remarkable ease. They stuck to their plan and shut the game down, something they have struggled with recently. “Last year, we were 2-0 up, that was the time to control the game, but we got caught up in the fight,” Kane says. “This year, we went 2-0 up, controlled the tempo, controlled the pace, didn’t get caught up in any tackles and we won 2-0. Although the last few weeks have not been quite as good, Spurs played their best football of the Pochettino era in late December and early January. Their wins over Southampton, Watford and West Brom were ludicrously one-sided, even before the Chelsea game. To Kane, it is proof that Spurs are continuing to move in the right direction. “We feel a lot more mature, we are controlling games a lot better,” Kane says. On Saturday, Spurs go to Anfield needing a big statement away win of the type that has evaded them this year. They lost at Stamford Bridge and Old Trafford, drawing at the Emirates and the Etihad, and now is the time for them to show that they can take that next step. 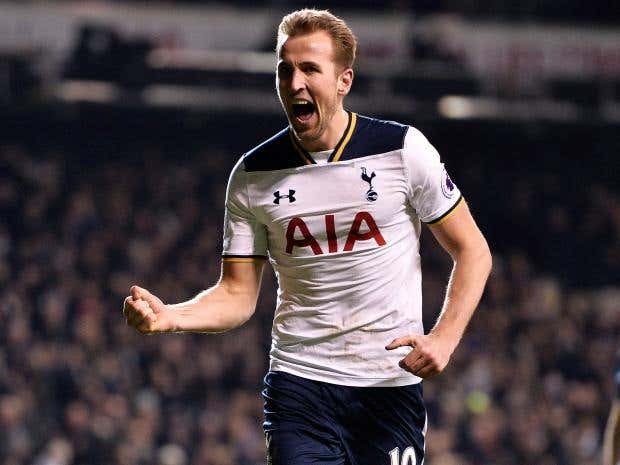 Last season Kane scored a brilliant goal on the turn at Anfield, “one of the better goals in my career”, but Spurs drew 1-1 and Pochettino beat the ground in frustration at full time. Tomorrow Spurs need to go one better and win, narrowing the gap on Chelsea to six points for a few hours at least. “Liverpool would be that big away win,” says Kane. Catching Chelsea will be difficult but there is no reason that Spurs should not finally win a trophy this spring. They have the players, the manager and finally the mentality to do so. “It is just about finding a way to do it,” Kane says. “If we get that one, I hope it will push us on to many more.” As Kane knows from Brady and the Patriots, it just takes one to start a dynasty.